(NaturalNews) The old way of 'treating' disease symptoms with toxic medications, produced by the pharmaceutical industry, has failed to successfully eliminate the true cause of most chronic health conditions – especially adrenal fatigue. Simply put, toxic drugs will only add to the problem of stress experienced by the body. The best way to eliminate disease symptoms. On the next NatrualNews Talk Hour, you'll discover the most effective way to regain your energy and vitality – without the need for toxic drugs. 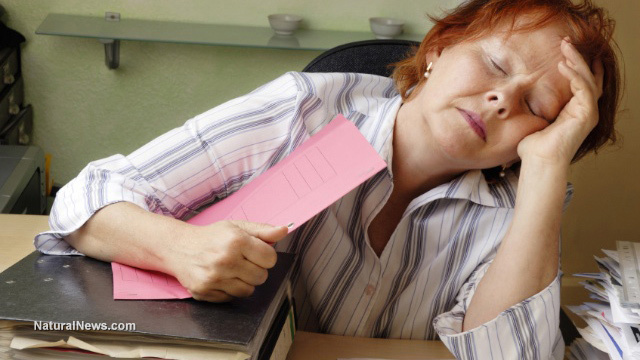 Don't ignore fatigue and brain fog issues any longer. On the next NaturalNews Talk Hour, we'll talk about the connection between fatigue and emotional issues. Plus, Dr. Zodkoy will talk about his vast experience in helping people with post-traumatic stress disorder – a major reason for fatigue. According to Dr. Zodkoy, "our insurance system is falling apart." In the past, people were used to getting lots of attention from their doctor and the 'out-of-pocket' expense was minimal. Today, thanks to Obamacare, health insurance premiums are skyrocketing; co-pays are going up and medical services are being denied – because it's all too expensive for insurance companies to afford. To make matter worse, the mainstream media and conventionally-trained physicians promote the idea that fatigue is not a serious medical condition. Instead, those suffering from burnout are told to 'get some rest' or resort to taking some kind of stimulant (temporary fix) such as, coffee or a sugary snack.